Don’t judge a book by its cover…right? Well, actually, isn’t that what cover design is about—so that people can look at the cover and know a bit about the book contained therein. If you are a fan of vamp-lit and you pick up a book with a cool yet vicious-looking vampire on the front, but when you open the tome it is a book about how to propagate petunias, well, my guess is you are going to be displeased, disappointed, disillusioned and many other words prefixed with dis—except maybe disturbed, which is what you wanted to be. So, maybe we can and should judge books by their covers. But, what about people? Can we, or should we, judge them by the visage they present the world? The answer to that is rather dichotomous. To a point, we can decide much about a person by their public persona. 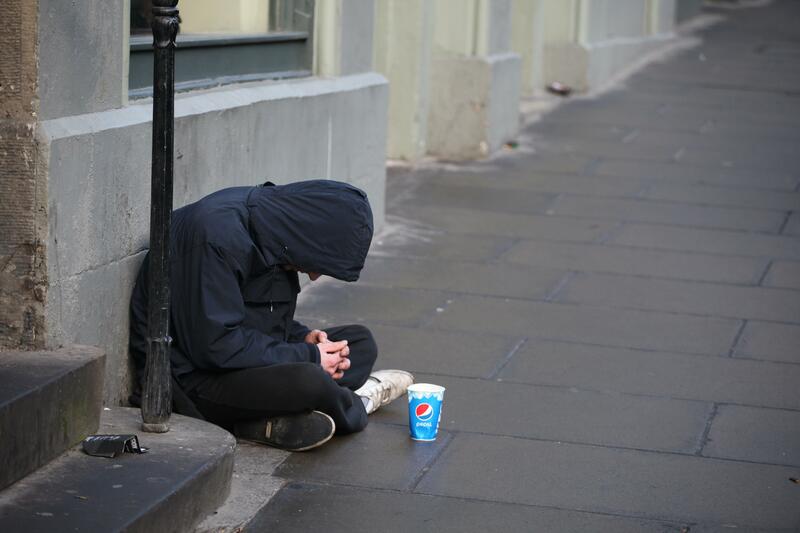 There is a good chance that the unwashed fellow in tattered jeans and hoodie who is crouched in front of the coffee shop with an empty cup in his hand, begging, is homeless. Fair enough. But can we judge why he is homeless or what he will do with the nickels and pennies we grudgingly toss his way? Should we? I have always answered the same to that question…No. We should not. If his hand is shaking when he stretches it out to accept our change can we decide he is suffering from drug or alcohol withdrawal and he will only use the money for drugs? I know many of you will say yes, but consider this: maybe he has Parkinson’s Disease…maybe he suffered from brain damage from a stroke, tumor, or degenerative disease like multiple sclerosis. Yes, chronic alcoholism can also cause cerebellar tremor, but is that for us to decide? Is that the factor that determines whether we will lighten our wallets of spare change? Even if he is going to buy alcohol with it…so what? If that helps his tortured soul get through the day, who are we to judge? After all, we are in the drive-thru line-up waiting to buy a coffee, and are we not addicted to that? Generosity should not be only about who deserves it or what the “trendy” cause-of-the-moment is—isn’t it about who needs it? That homeless beggar is somebody’s son. He might have been someone’s husband, father, or brother. There is a really good chance he is a veteran of some man-made war, or perhaps just a veteran of the war inside himself. I don’t have the statistics, and I am sure they are hard to gather, but I believe there is a better chance than not that most homeless are, or have been, victims. The youth have likely (not always, nothing is always, of course there are exceptions to everything) been abused, physically, mentally or sexually…perhaps all three. The adults might be the youth that were never saved and didn’t die on the streets, or mentally ill and fell through cracks in the system or as I mentioned, vets—or any other number of things that are not for us to decide. My point here is to open your minds to possibilities. And I’m not saying to give all your spare change to every drifter you see…but if the mood strikes you, go with it. Don’t over-analyze what they might do with that $2.37 you dug out of the ashtray in your car, just give, graciously. In fact, if you feel like giving them a twenty, go right ahead. Maybe they’ll buy gin…but maybe they’ll buy gin and a sandwich…or just the sandwich. I could say, “If it makes you feel better, just buy him the sandwich.” But it isn’t about you—or me—feeling better, is it? You never know if the act of your giving sparks a chain that leads to that person getting to where they need to be. You see, this was my morning. I waited in the always long Tim Horton’s drive-thru. I watched the above-mentioned scruffy fellow crouch in front, near the entrance with his empty plastic cup. A white truck, four cars ahead of me placed his order then pulled up and waved the homeless-looking fellow over. The man stood and went over and the driver handed him some money. I was inspired to do the same, but by the time I got to the area where he was sitting, he had gotten up and started walking down the street. But that was fine, because I had more change after I paid for my coffee. I drove to where he was walking, I saw him there, wearing a child-like smile and talking to himself. I could have decided, “This guy is crazy,” and moved on, and believe me, for a second that did flash through my mind. Instead, I rolled down my window and waved him over. He smiled. He walked towards my car. “Would you like some change?” I asked. As I drove away, I looked at him. He was back to smiling and talking to himself. My heart well-up and almost spilled out of my eyes. I was completely moved by the purity of that moment. That exchange between two random souls, unlikely to ever cross paths again. Now, I am not telling you this so you can all say, “Wow, that Lisa sure is a nice person.” In fact, don’t say that. I was just doing what my mother raised me to do: be kind. What I am hoping will come of this is that you open your hearts and minds and do what the spirit moves you to do. Pay it forward. Inspire others to do the same. Most of all, do not judge human books by the cover they tender. You never know what story lies inside the pages of another human being.